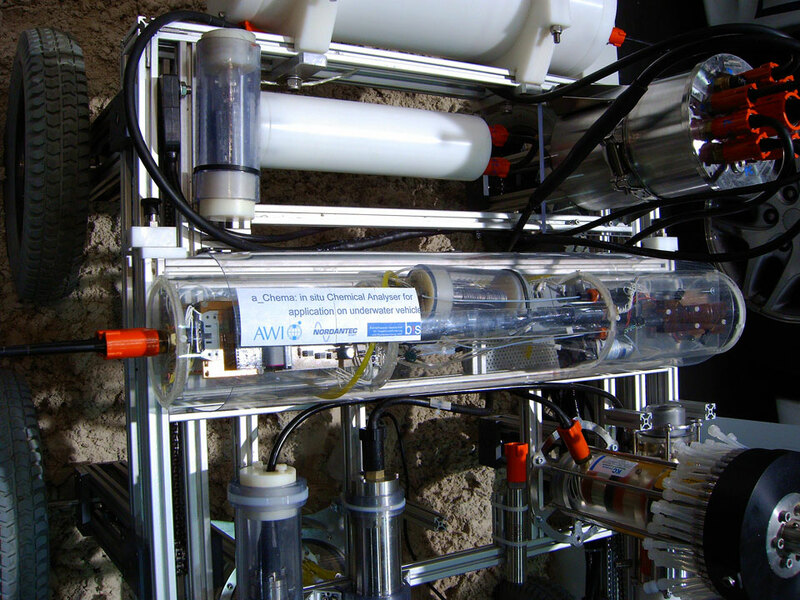 Autonomous measuring-system (submersible sensor) for chemical in-situ-analysis to detect nutritive substances. Development of a new autonomous sensor-system which can be used on stationary or mobile underwater-platforms for continuously chemical analysis of environmentally sensitive parameters. The expandability and integration of different a_Chema-Analysers as well as other sensors to a complete system will be ensured by the use of a new data acquisition system. 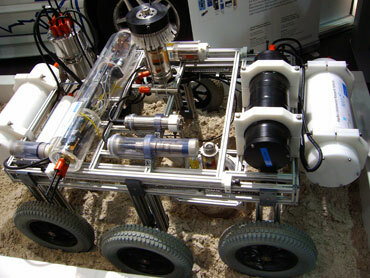 The software will support the applications planning and the evaluation. This allows the availability of combined a_Chema-Systems (i.e. for simultaneously measurements of NO3, Si, PO4, Mn) and synchronisation with other sensors. Quantification of dissolved substances like silica, phosphate, ammonium, nitrate, nitrite, iron, manganese or aluminium. The current determination focuses on nitrate, nitrite, silicate and phosphate. The concept is based on new technology which is being used in the chemical laboratory analytic and also technology developed by us.